The Chacma Baboon (Papio ursinus), also known as the Savannah Baboon is a large aggressive primate that can stand over 1 meter tall, weigh up to 45 kilograms and live for up to 30 years. 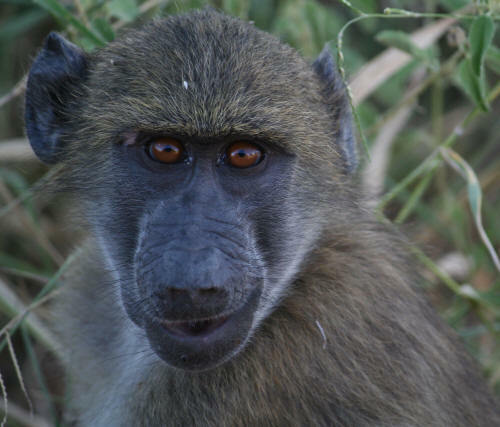 The Chacma Baboon can be found throughout the Kruger National Park in all ecozones, but never strays far away from permanent water. 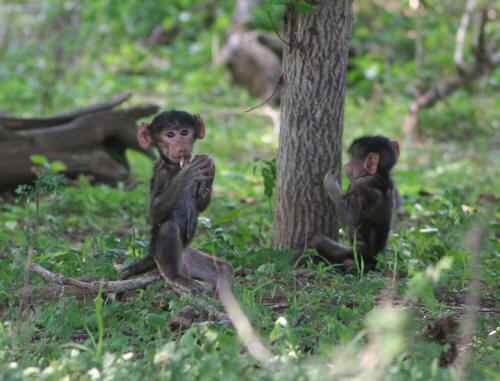 The Chacma Baboons of the Kruger Park can often be encountered in rest camps where they can be particularly aggressive. They are most common around Pretoriuskop, Berg-en-Dal, Letaba and Olifants and there is a large population along the Sabie River. 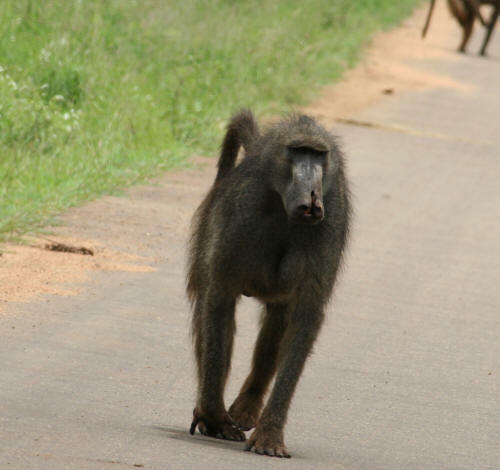 The Chacma Baboon is the largest of the primate species in the Kruger National Park and have a characteristic "barking" call that can often be heard in the early morning and evening. Antelope species such as Impala hang around Baboon troops because of the Baboon's good senses which alert the Impala to danger. They have a strange relationship in this aspect, as often male Chacma Baboons develop a taste for meat and will often kill young Impala which doesn't seem to phase the Impala at all. The Chacma Baboon's main predators in the Kruger include Leopard and African Rock Python.